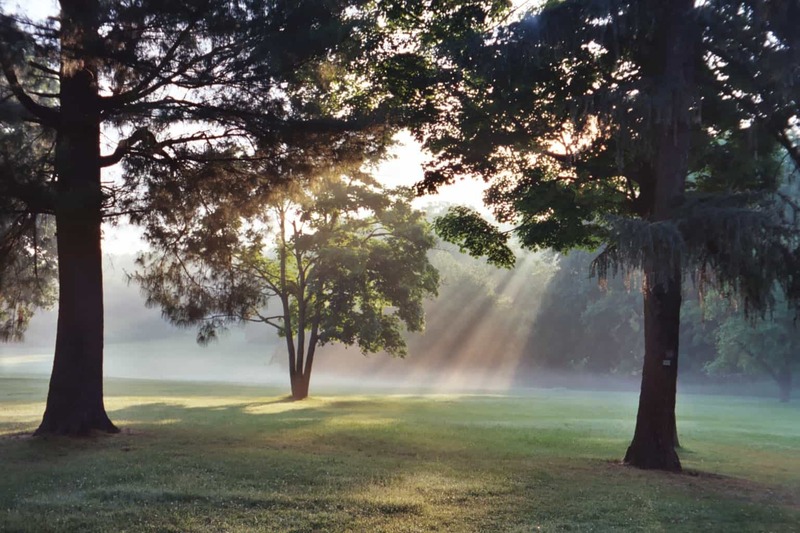 The Mariandale Center | NY Retreat Center | The Marianale Center's beautiful land offers serene space for retreats. 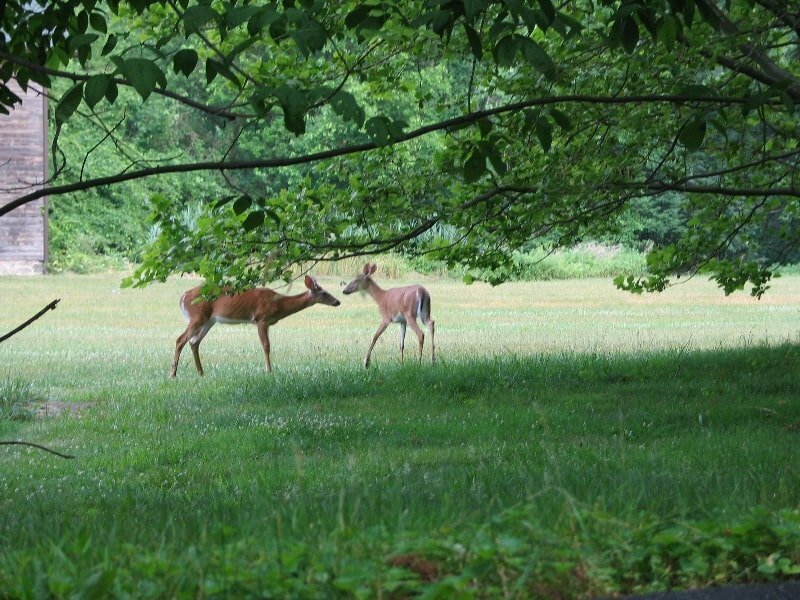 The beautiful 61-acre land at The Mariandale Center offers both communal and solitary space for visitors. Our guests often describe a timeless sense of belonging to and being one with nature while walking our property. The meadows and woods offer calm, serene space that inspires and soothes the spirit. Contemplation, creativity, and spirituality flourish in this environment. From our Labyrinth to our Bee Yard and gardens, Mariandale’s landscape is a living, breathing ecosystem. The seven-circuit labyrinth at Mariandale is situated at the edge of a peaceful wooded area. Its location offers the opportunity for a highly sensate, reflective experience to those who walk its path. This particular design leads journeyers in a quiet, cleansing way toward the center and then, after a brief pause, empowers them on their walk back. 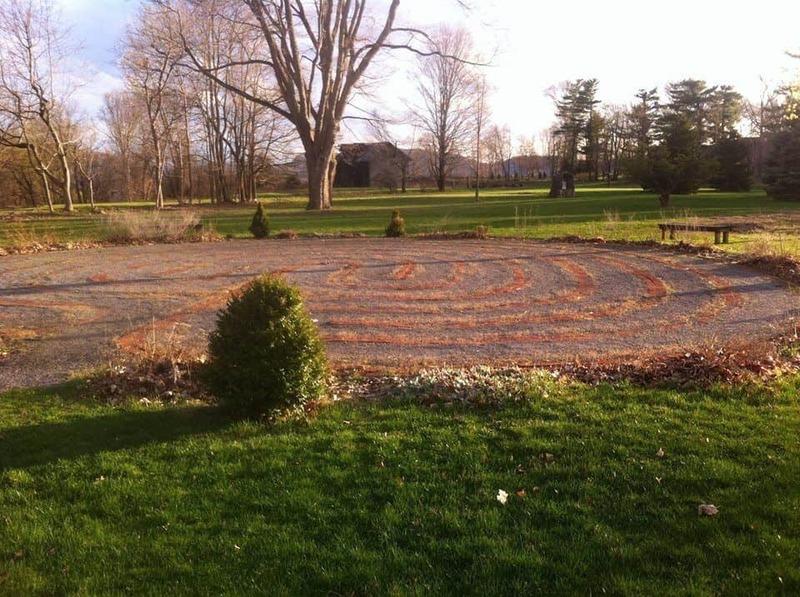 Benches that encircle the labyrinth offer walkers the opportunity to sit and reflect on their experiences. The word “labyrinth” means an intricate network of winding paths. There are many diverse designs. The 7-circuit classical is constructed from a cruciform. It is an archetypal symbol of the life/spiritual journey, a trust walk in search of the inner true self or the Divine and a renewed understanding of life’s meaning and purpose. Labyrinths have been used in every world culture and religious tradition for over 4,000 years. Enjoy the stunning views of the Hudson River and the western banks of the Hudson from our Nature Trail, which winds along the perimeter of the property. This wood-chipped path offers benches for rest and reflection, and a peaceful, tree-lined environment for your walk. 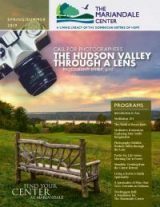 Groups that visit us in the summer may enjoy the swimming pool on the grounds, overlooking the Hudson River, and nearby picnic grounds that provide space to share meals and conversation for small or large groups. It’s a wonderful space to escape the confines of facilities (and the heat!) and spend some time in the sunlight and water, enjoying the beautiful views of the Hudson River. Peace begins in the hearts of minds of each individual. As we learn to honor each other, our environment, animals, and all creation on earth, the vision of global peace through sincere communication will gradually become a natural way of life. By igniting the flame of international friendship through the constant reminder “May Peace Prevail on Earth,” we can stimulate a shift in attitudes in all areas of planetary work–political, environmental, economic, and social. 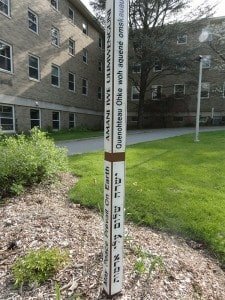 The Peace Pole project was started in Japan by the Society of Prayer for World Peace. The project was launched with a dedication to uplift humankind toward harmony rather than conflict. War begins with thoughts of war. Peace begins with thoughts of peace. The Peace Pole reminds us to keep peace ever present in our thoughts. To date, friends and supporters have dedicated over 65,000 poles in 84 countries around the world. Visit our Bee Yard (with permission and a bee guide) and see a thriving ecosystem at work. Ask at our Reception Desk about a supervised tour of the Bee Yard, as we seek to maintain a calm, peaceful environment for the bees. Visitors to the Bee Yard must be accompanied by a knowledgeable beekeeper.